For the 2016 Boston Marathon we developed a unique activation for Adidas. We invited all runners to join the Adidas Energy Challenge on their booth at the Boston Marathon Sports & Fitness Expo. The goal; generate as much energy as possible and win a pair of Adidas Ultra Boost running shoes. 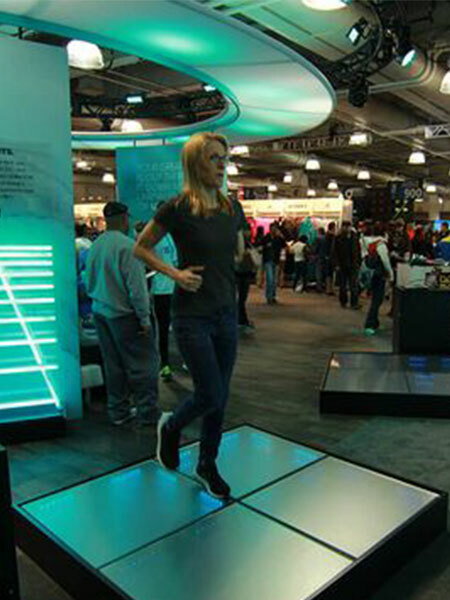 To generate energy, runners needed to run as fast as they could for 30 seconds on 4 Sustainable Dance Floor modules. The best runners took home a pair of Ultra Boosts from the 2016 Boston Marathon collection. In 3 days more then 600 runners joined the Adidas Energy Challenge making it one of the most successful activations at the Expo.